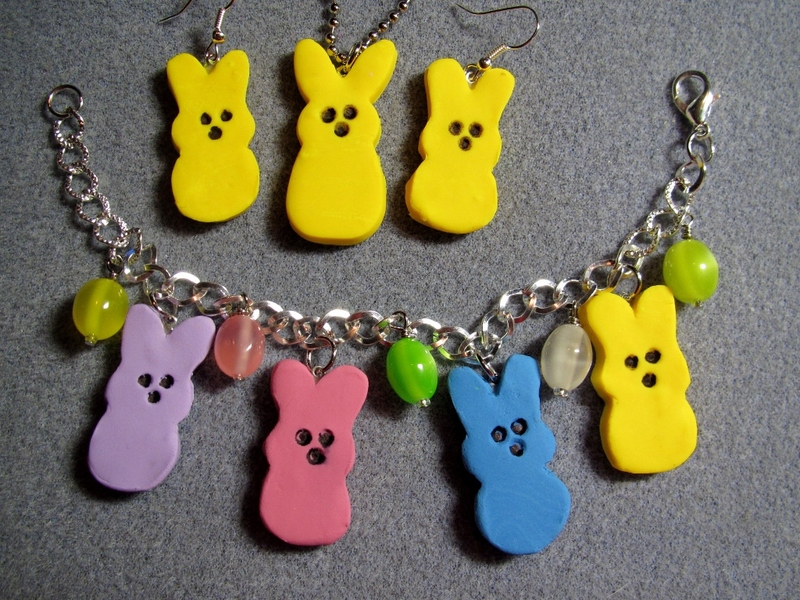 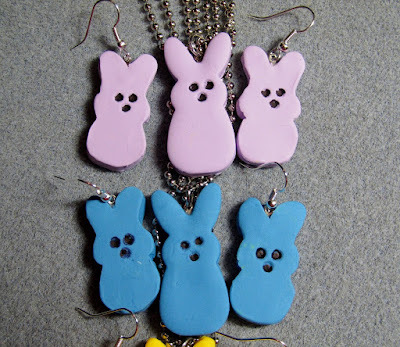 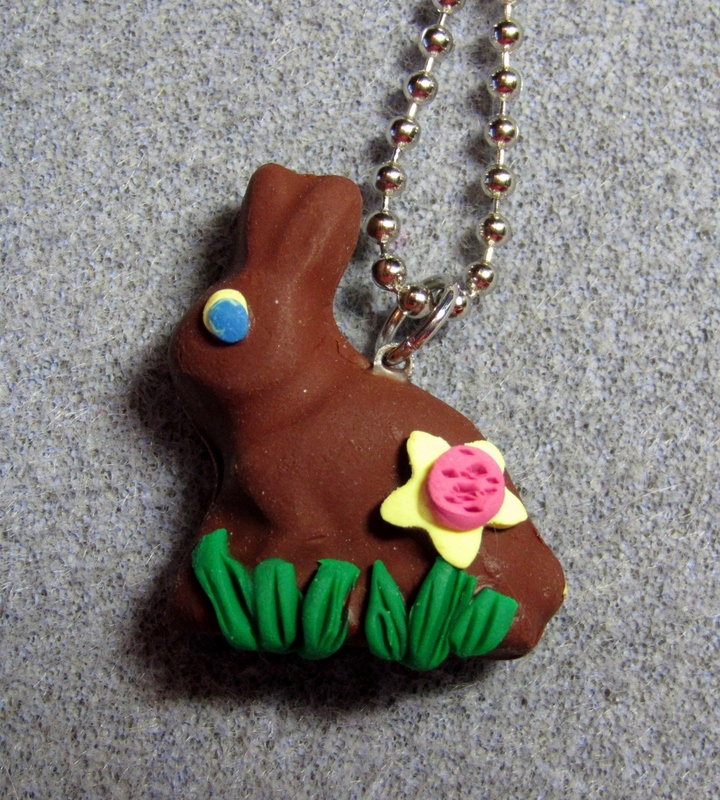 Polymer Clay Chocolate Bunnies and Peeps Easter Jewelry! 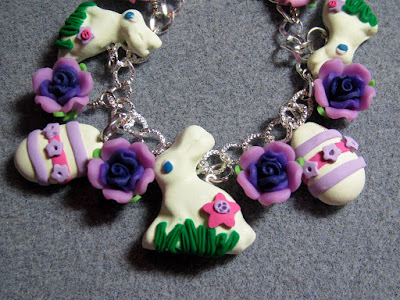 Over the past couple of weeks, I have been working on some brand new Easter jewelry designs - all made from polymer clay. 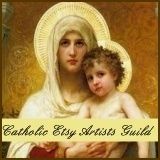 (Yes, Easter is early this year - it falls on March 27th - next month!) The designs include little "chocolate" Easter bunnies, white "chocolate" bunnies (as not everyone likes chocolate) and "marshmallow" Peeps. 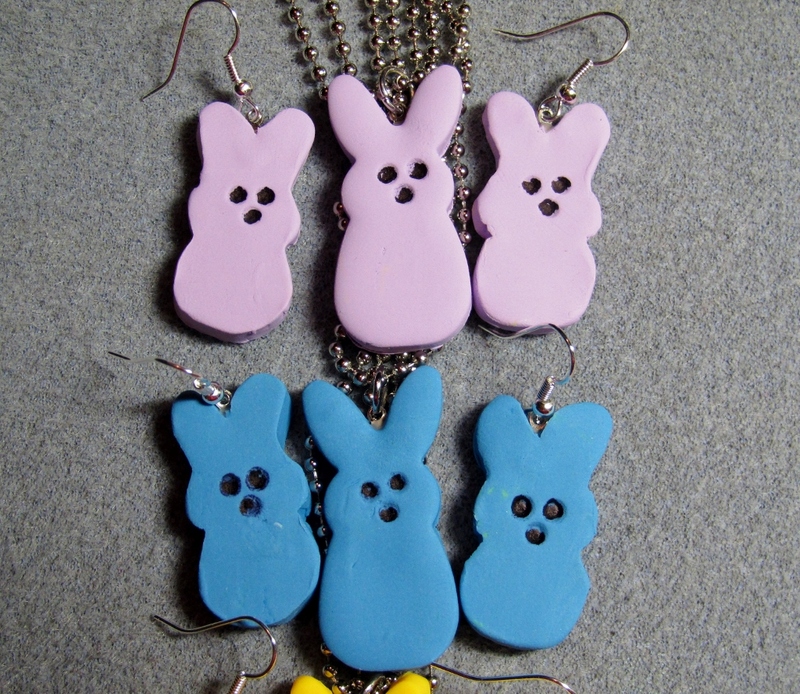 For a sneak peek of these items in process, please check out my Instagram page. 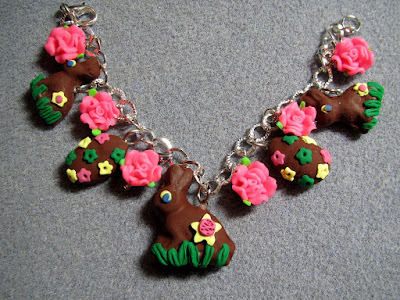 Chocolate bunny and roses Easter bracelet. 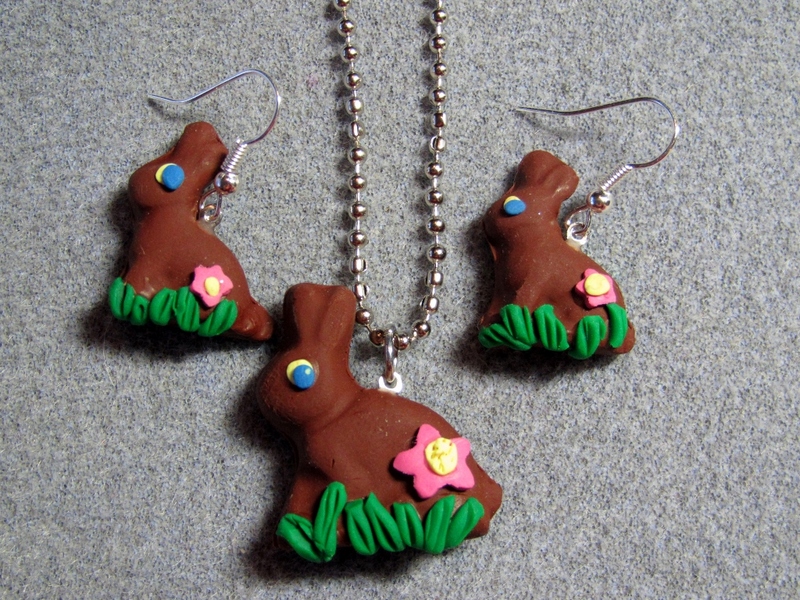 Chocolate bunny Easter necklace and earrings set. 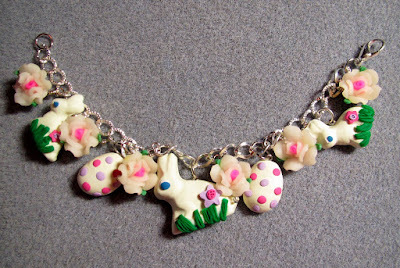 White chocolate Easter bunny bracelet. 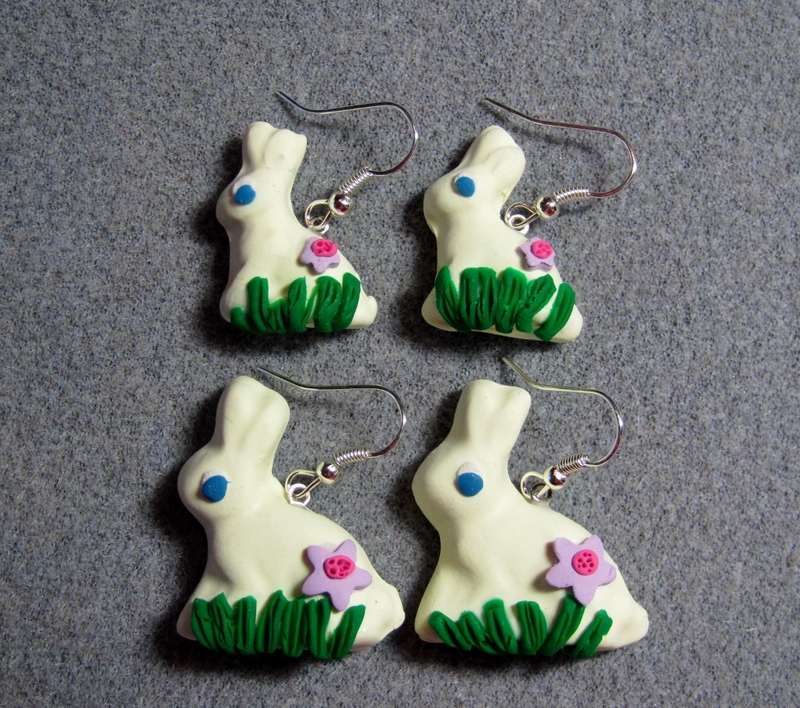 White chocolate Easter bunny earrings in two sizes.